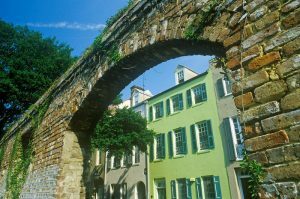 Charleston Instant Mortgage Approval – No 800 Number Required! Click Here To Qualify In Minutes! Don’t feel comfortable putting your info online? We’re local so just call me! Instant mortgage approval! Whether you are a first time Charleston SC homebuyer, or a homebuying veteran, the idea of instant mortgage approval or a pre-approved loan sounds attractive. As the market heats up, it becomes more of a seller’s game. Competition increases between buyers, and the quickest draw usually wins. You may have a local mortgage lender you have used for many years, somebody you know and trust. But still, when you hear those INSTANT APPROVAL mortgage commercials on talk radio, it’s tempting. So you grab a pen and start scribbling that 800 number while you swerve in traffic! You may not know that your mortgage lender likely already has an instant approval option to offer you. That’s certainly the case with New South Mortgage Corporation of Charleston SC. “Reps and warranties are the assertions that a buyer and/or seller makes in a purchase and sale agreement. Both parties rely on each other to provide a true account of all information and supporting documents to close the transaction.” Investopedia. Tracking down this type of information takes time, and multiple phone calls and emails. With Day 1 Certainty, online technology does much of this work. Depending on the complexity of your mortgage loan, this can really speed up the process! Another nice feature is Appraisal Relief, available for certain refinance loans. Instant Mortgage Approval – Right Here in Charleston! So, keep your hands at ten and two on the wheel. No need to write down that 800 number for some far-away instant approval mortgage lender. The lender you need is right in your back yard, and a trusted name for nearly 20 years – New South Mortgage Corporation of Charleston SC. Contact us today!